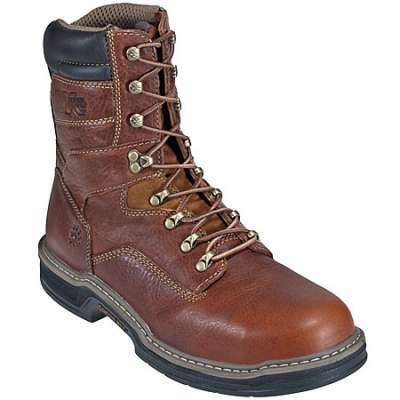 DURANGO DB4343 – You notice its ruggedness and how the brown full-grain leather looks distressed. You observe the fancy stitching on the shaft and the toe bug stitch on the foot. You see that it has a very traditional looking yet roomy square toe. You’re aware of the dipped topline and sturdy pull tabs. 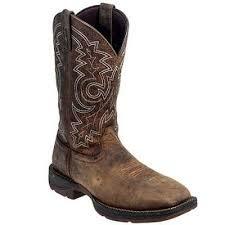 Upon first inspection, it looks like this 12 “ Rebel by Durango is an ordinary pull-on Western boot. 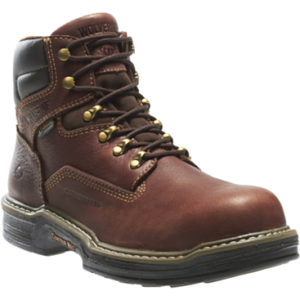 While it is an incredibly masculine-looking Western, this boot is crafted for work. The double row of welt stitching is incredibly and holds this men’s boot together. Its protection comes from the steel toe. 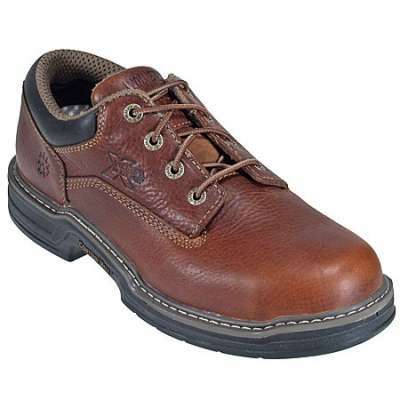 This men’s Western has met the ASTM F2413-05 I/75 C/75 Protective Toe Classification. It can withstand up to 75 lbs. of impact and compression. It has also met the ASTM Electrical Hazard Standard. 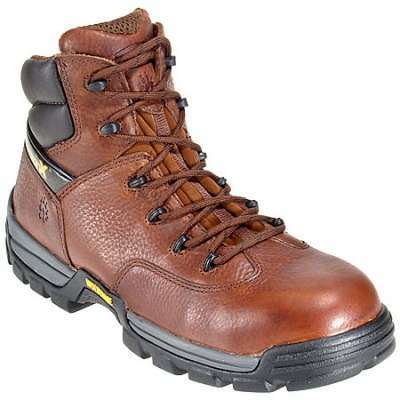 These Rebel by Durango boots are also able to keep your feet comfortable by having a cushioned insole. It is contoured, it was designed with ventilation so your feet are more likely to stay cool and it’s removable so you can always add in more padding once you have worn this footbed down. A tempered steel shank has been built-in to this footwear, it aids in giving you steady footing and this feature will support your foot’s arch. The outsole is made from a combination of rubber and EVA; you will only benefit from its durability, how much cushioning you receive and how lightweight it is. The rebel heel is only 1 3/8 “ high, so you will be able to maintain a steady stride and work comfortably. To find a men’s work boot that looks this good, has so much durability and has safety features to boot is not an easy task. So, if the idea of going to work in comfortable, protective and rugged-looking footwear appeals to you, these Rebel by Durango Steel Toe Pull-On Western Boot are perfect!